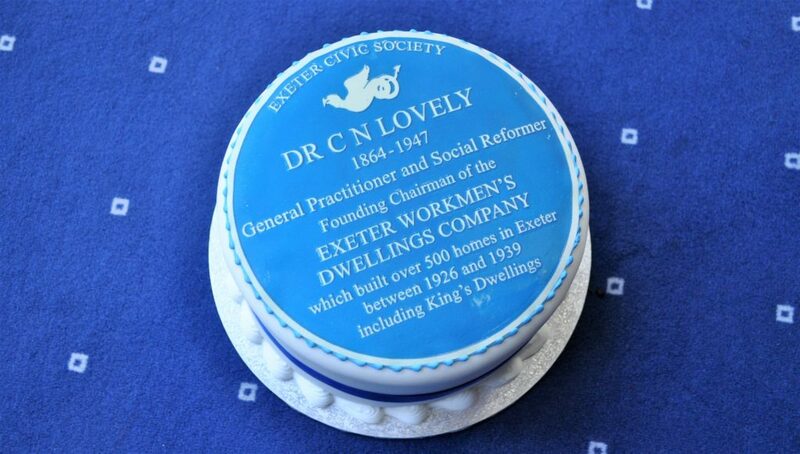 The founder of Cornerstone, Dr Charles Newton Lovely, was commemorated by a blue plaque unveiled by Exeter Civic Society on Friday 1st February 2019. 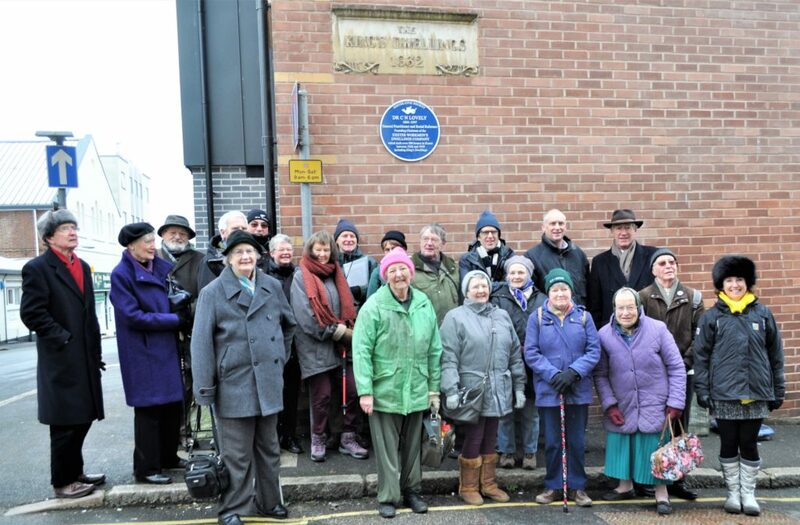 The plaque was dedicated by Dr Lovely’s grandson, Mr Richard Holladay and the ceremony took place at Cornerstone’s ‘Kings Dwellings’ on the corner of King Street and Stepcote Hill, Exeter. The Kings Dwellings is an early example of housing built by The Exeter Workmen’s Dwellings Company. EWDC built over 500 homes during the 1920s and 1930s to help alleviate slum housing in the Western Quarter of the City. The company achieved charitable status in 1954 when it became The Exeter Housing Society and then in 2008 was renamed Cornerstone Housing Ltd.
Over 20 people were in attendance when the plaque was unveiled including Dr Lovely’s relatives, members of the Exeter Civic Society, Cornerstone tenants and staff. Following the unveiling there was an opportunity to visit Cornerstone House to hear from Richard Holladay and Rick Williams about Dr Lovely and how Cornerstone have continued his work over the last 93 years since The Exeter Workmen’s Dwellings Company first began in 1926. This was celebrated with a commemorative cake. Dr Lovely’s mission to provide quality, affordable rented housing remains central to our values today as we continue to build on his social legacy. Through his work as an Exeter GP, Dr Lovely became concerned about poor state of housing in which many of his patients lived. Although Exeter City Council was carrying out a programme of slum-clearance, the new homes that it built were too expensive for some of the poorest people. Dr Lovely was determined to do something about this, and conceived the idea of establishing a philanthropic association to build homes to let at an affordable rent while still providing a decent standard of accommodation. He persuaded others to join him, and in 1926 The Exeter Workmen’s Dwellings Association (later Company) Ltd was founded. Dr Lovely was its Chairman from the beginning until his retirement in 1936. 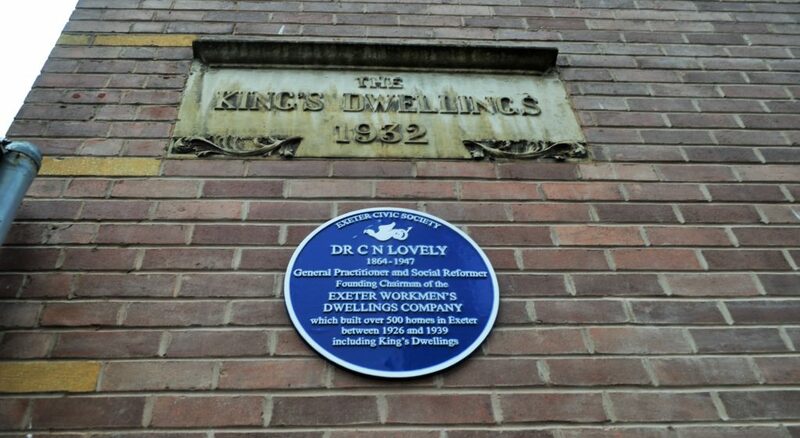 For more history on Doctor Lovely click here to visit the Exeter Memories Website.